The Authorize.ent module is one of the oldest payments modules for PrestaShop and one of the most widely used as well. But at the same time it has languished with no development from PrestaShop. We have decided to change that. We have taken their base module and created a custom branch of the module. Why would we do this? If you are not already aware on June 30th 2016 the module will break. The Authorize.net end point will permenently change to using an Akamai end point. There has been no indication that PrestaShop is going to fix this. We value the community and our relationship with the community, so we have decided to make the changes the module needs and release it for free, just in case they do not update it. That is not the only change though. If you have not noticed the module looks hacked together on the frontend. It actually has not really been updated since version 1.5. It has not been updated in over 2 years. 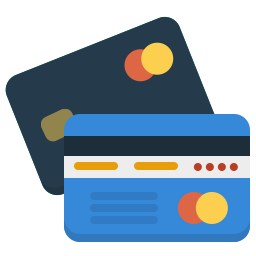 We bootstrapped the template to fit in with the other payment modules that you might use and also made the module responsive as well. The stock module from PrestaShop is virtually unusable on mobile. This one is not though, it will work on all devices. Below are a couple of screenshots so you can see what the updated module looks like. It blends in better with the other PrestaShop checkout modules by having the same styling and the for is laid out logically and spaced correctly. Also the cvv image no longer breaks the look of the form, it opens in a fancy box with a better image now. This module installs like other modules, not special instructions are needed.